Students in the UF URP program asked the San Felasco Section if we would consider meeting with their students to pass on our experience, knowledge and insight about transitioning from the student environment to the professional planning environment. We designed a 2-hour program to do just that. It was an informal format centered on discussion and dialogue between section professional planners and UF URP students. That Colloquium was held at the offices of CHW, Inc. in Alachua, Fla. Food and drinks were provided by the section. Eight members of the Section and four UF URP students participated. Feedback from the students was very positive. They felt they received a lot of real world information and that they were more comfortable and confident in leaving the University and moving into the planning profession. The Section professionals also indicated they enjoyed the session. They appreciated being able to pass on lessons learned and experiences gathered during their professional career. The San Felasco Section plans on offering the Colloquium again next year. Section Chair-Elect Terry Clark and his wife Susie facilitated a workshop on Aug. 1, 2018 on their trip to Cuba. The workshop qualified for 1.0 AICP CM credit. The workshop was well attended with approximately 20 participants. It was a one-hour interactive workshop about Cuba based on a trip they took to the island nation May 25-29, 2018. The workshop was divided into four sections: The Project; Entrepreneurship; Infrastructure; and Transportation. Background information was provided at the beginning of each of the four sections followed by pictures, dialogue and questions and answers. Terry and Susie participated in the trip as part of the Florida non-profit charity Clean Drinking Water Team, Inc. (www.cleandrinkingwaterteam.org ) The group traveled under a religious visa sponsored by the Episcopal Church of Cuba located in Havana and were therefore able to visit and travel in areas of Cuba not typically visited by tourists. The primary purpose of the trip was to install four water filtration and purification systems: two churches in Havana, a day care in Havana and a retirement facility in Matanzas. Understand the real world impacts of disinvestment in public infrastructure such as roads, potable water, sewer and electricity. Understand the recently government-sanctioned role of the emerging entrepreneurship class and the role that is playing on the economy. See pictures of the current declining condition of public infrastructure. Understand how the Episcopal Church planned and funded potable water improvement projects through international nonprofits including the four projects included in the trip. 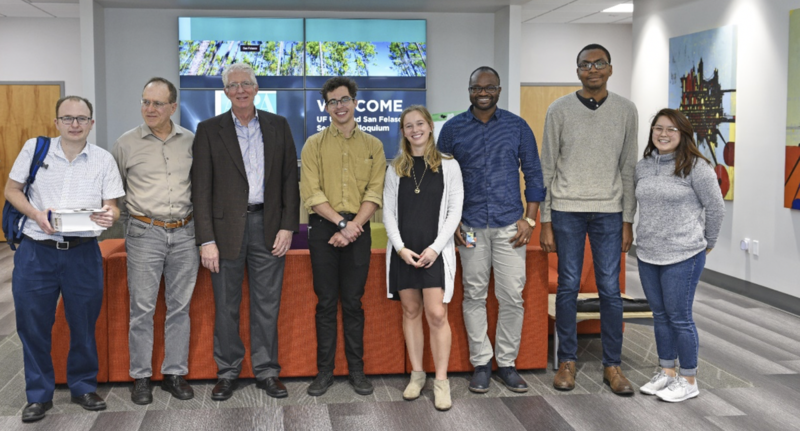 The San Felasco Section was invited to attend a UF/URP student presentation on Dec. 5, 2018 on Transportation Risks as part of their Regional Planning Fall 2018 Studio Course. Their work was partially funded through a Florida Department of Transportation contract. 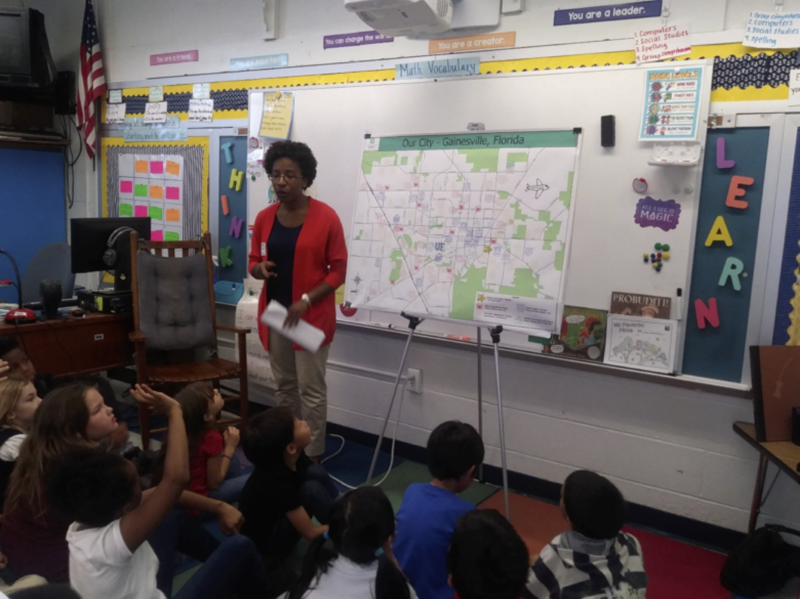 On Oct. 23 and 30, Angeline Jacobs, Leslie McLendon and Sandra Joseph from the San Felasco Section of APA FL were guest speakers/presenters at two second-grade classes at Williams Elementary School in Gainesville, Florida. that there is a reason for why community elements are where they are. Special thank you to Lauren Yeatter of the section for creating awesome maps for the event! We are happy to report that the presentation on both days was successful. The students were extremely engaged and enjoyed the class activity very much. 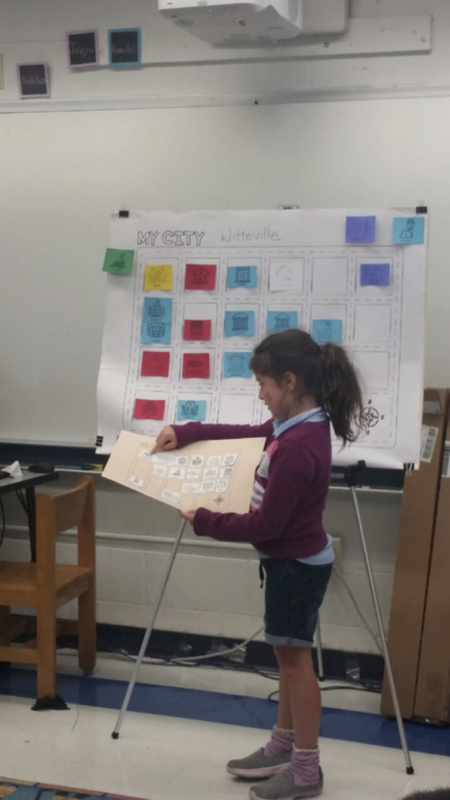 Additionally, both teachers provided positive feedback. Next October for National Community Planning Month, we hope to present once each week for the entire month. We also plan to recruit additional volunteers from the Section to participate in the event.